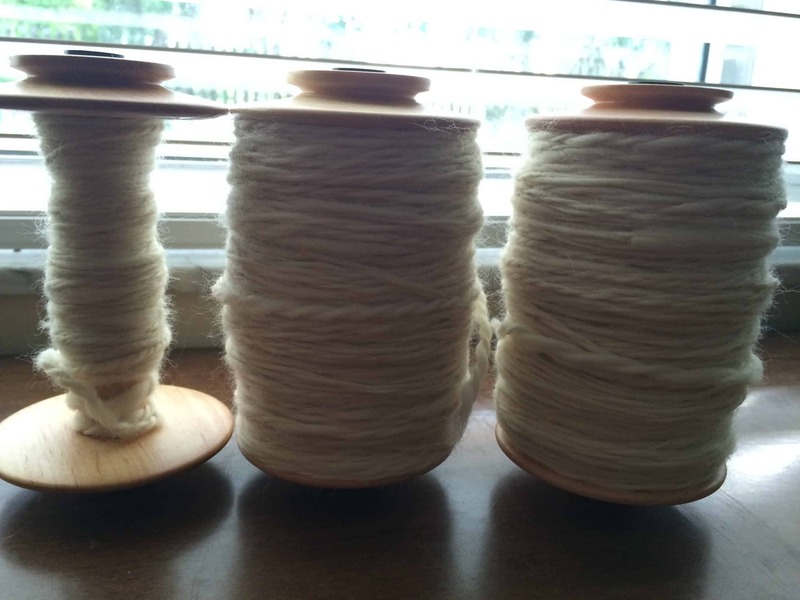 Here is a picture of it on the bobbins after plying. I got 374 yards out of the 8 ounces, so it is a heavy worsted weight. 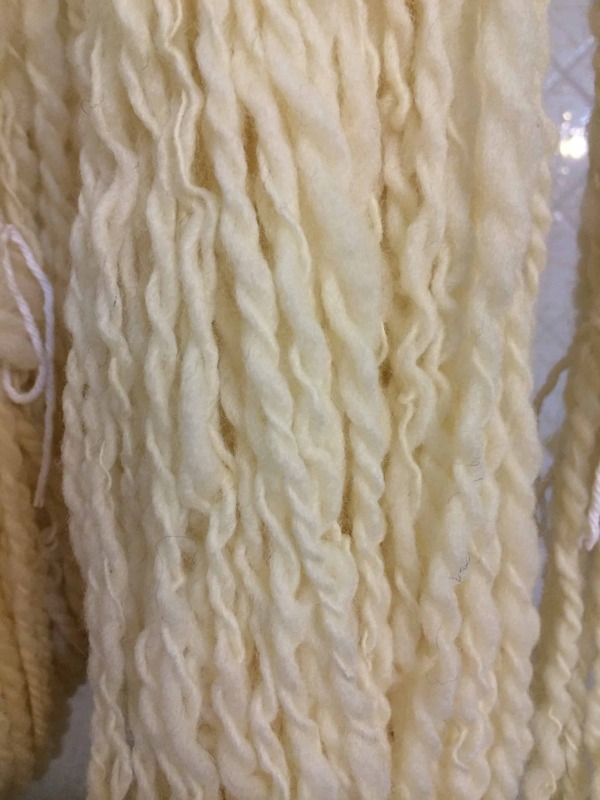 As I was plying, I could see a significant improvement between the beginning and end of spinning this yarn. The yarn was thinner and more consistent as I went. My joins were also better. 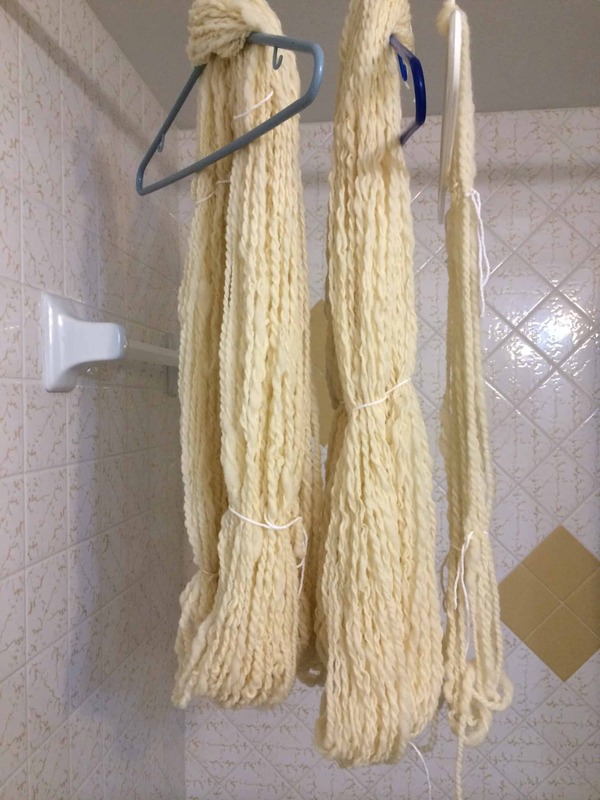 I hung the yarn to dry, without weighting it this time. Here’s a close-up so you can see for yourself that I am getting better! Now I have to figure out what to do with this yarn. I don’t want to have it just sitting around. I want to knit with my handspun!